Enterprise Answers works closely with numerous organisations throughout the region to ensure that businesses have easy access to a full range of support services wherever they are based. The British Business Bank’s aim is to make finance markets work better for small businesses in the UK at all stages of their development: starting up, scaling up and staying ahead. To increase the supply of finance available to smaller businesses where markets don’t work well. To create a more diverse and vibrant finance market for smaller businesses, with a greater choice of options and providers. To build confidence in the market by increasing smaller businesses’ understanding of the options available to them. To achieve this whilst managing taxpayer resources efficiently and within a robust risk management framework. Businesses apply for finance through their partners, and because they work with them they can lend and invest more, especially to younger and faster growing companies. In total they work through more than 90 finance partners in the market, and help to unlock up to £10 billion of new finance and bring greater choice and information on finance options to smaller businesses. Their programmes are designed to bring benefits to smaller businesses that are start-ups, high growth, or simply viable but underfunded. They have a commercial arm, British Business Bank Investments Ltd, which makes investments into providers of finance to smaller business in the UK. The Family Business Network is a valuable connection for family businesses looking for a safe environment to learn from each other, find relevant news, events and access innovative additional support when needed. Founded by Sue Howorth in 2014 the network originally started via support from the Cumbria Growth Hub. The network has since developed and as of June 2016 the network became its own company, so Sue could continue her role as Family Business Ambassador and be the voice for family businesses across the region. Through Sue’s award winning work in Cumbria, The Family Business Network has now evolved to include Lancashire, Yorkshire and surrounding areas. They, like us, love signposting family businesses to relevant assistance, advice, or investment channels but equally thrive on their family business orientated events. Their Insight days, workshops and flagship Family Business Conference are all designed with family businesses’ needs at their heart. They also work in collaborative partnerships with family business specialists and other national family business associations and networks. Lancaster & District Chamber of Commerce’s principle aim is to help make Lancaster district’s businesses become more profitable and through partnerships create an environment where businesses can grow and prosper. It does this by offering member organisations a range of services to help them grow and save money. Lancaster & District Chamber of Commerce is a strong, professional and unified voice that campaigns on behalf of its members and the District. 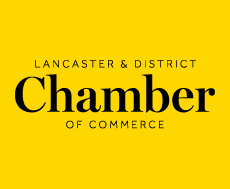 Whether it is on local, regional or national issues that affect the District, or industry-specific issues, Lancaster & District Chamber of Commerce is a great voice for your business. With trade they can help your business grow every step of the way, including International Trade with links to other chambers and international chamber and trade organisations. Additionally, if you are looking for help with start-up advice, marketing, access to funding, advice on employing staff or even developing a Business Plan, Lancaster & District Chamber of Commerce is a good place to start. Invest in Eden represents the economic objectives and ambitions of Eden District Council in promoting the area as a great place to start, grow, expand or even relocate your business from another part of the UK, or even from overseas. Invest In Eden offers a diverse range of support from introductions to key influencers, searching for suitable premises or land, access to finance which includes the Eden Business Support Fund, procurement, apprenticeship schemes and more. Eden is located on the eastern side of Cumbria, embraced with outstanding natural beauty yet has probably the best transport access in the county with Penrith ideally located for access to the M6 corridor, the A66 trans pennine route and the West Coast rail line, with Carlisle airport, once it is up and running, approximately 30 minutes away. The financial Conduct Authority is responsible for regulating a sector which plays a critical role in the lives of everyone in the UK and without which the modern economy could not function. From children’s ISAs to pensions, direct debits to credit cards, loans to investments – how well financial markets work has a fundamental impact on us all. UK financial services employ over 2.2 million people and contribute £65.6bn in tax to the UK economy. If UK markets work well, competitively and fairly they benefit customers, staff and shareholders, and maintain confidence in the UK as a major global financial hub. The role of the Financial Conduct Authority is to help ensure this happens. There’s little which isn’t made in Allerdale – from international rally cars to the new £5 note, and crisp packets to World Cup football pitches. We’re a hub of international expertise – energy, innovation, technology, engineering and science. We have locations with great transport links that are ripe for development – big brownfield sites, urban and rural business parks, and excellent conference facilities such as the new Energus Events and Conference venue. Invest in Allerdale offers a diverse range of support from introductions to key influencers, searching for suitable premises or land, access to finance which includes the Allerdale Business Support Fund, procurement, apprenticeship schemes and more. And we’re the perfect home for your workforce, with good schools, plenty of housing and the Lake District National Park, the Solway Coast Area of Outstanding Natural Beauty and the Hadrian’s Wall World Heritage Site on your doorstep.